Find your used armored car including Ford armored trucks and General Motors Armored trucks at The Armored Group. 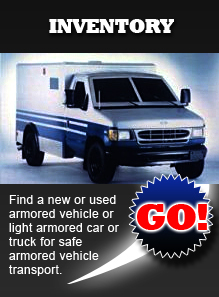 The used armored car you've been looking for is waiting for you at The Armored Group. 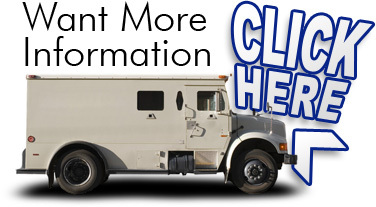 You'll find used armored trucks, used SWAT vehicles, prisoner transport and Cash in Transit vehicles here, and products from leading names including Ford armored trucks and General Motors armored trucks. Your used armored vehicle is waiting here for you.